Mobile game streaming service Hatch has left beta and launched on Android across the UK, Ireland and Nordic countries. Hatch features a curated selection of over 100 titles that can be streamed to mobile devices over data or wifi. The games-on-demand service recently finished an open beta period that began back in January. In Germany, Hatch is offering free game streaming data usage for customers of Deutsche Telekom. The service will initially be free to access with ad support, but Hatch will begin testing an ad-free premium subscription in Q1 2019. “Hatch is made for 5G, but over the past year, we have been battle-testing the service in open beta over existing wifi and 4G networks. The technical performance is now good enough in these first markets to offer Hatch to early adopters,” said founder and CEO Juhani Honkala. 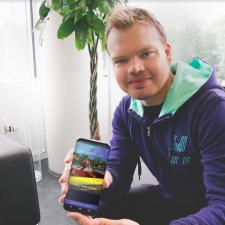 Honkala headlined our first Cloud track at Pocket Gamer Connects Helsinki this year and you can catch up with his session on the new reality of cloud gaming in the video below. Hatch will be back and hosting a new session at Pocket Gamer Connects London 2019 (January 21st to 22nd).